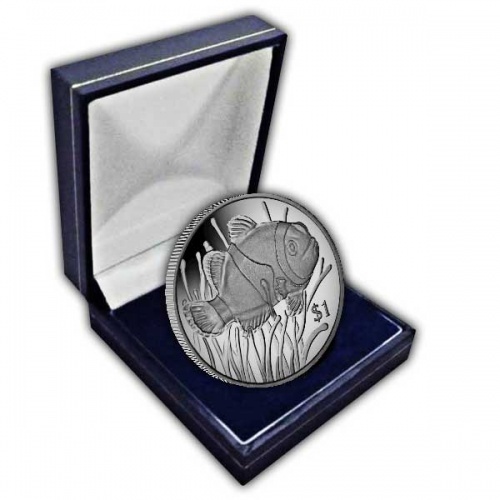 The Clownfish also referred to as Anemonefish are one of the most recognisable fish in the sea. There is thirty different species of the fish of differing size and colour, found in warm, shallow water throughout the Indian and Pacific Oceans. You can find the Clownfish living among the arms of Sea Anemones and they have an equally beneficial and really interesting relationship with these plants. The Anemones protect the fish from predators and provides it with scraps of undigested food whilst the Clownfish protects the Anemones from parasites. There are numerous theories on how the Clownfish endures the poisonous tentacles of the Anemone that include a developed immunity and unique finishes on their skin. 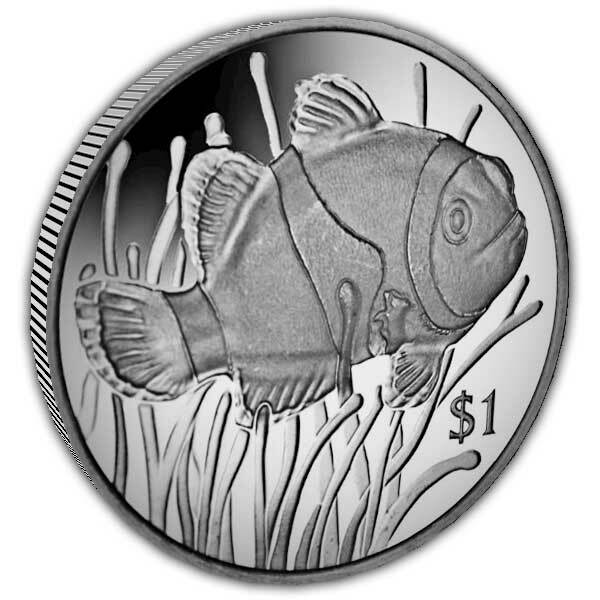 The reverse of this new coin includes the much loved Clownfish; made popular by the Disney film "Finding Nemo" this little fish has a huge character both in the film and on the reef! 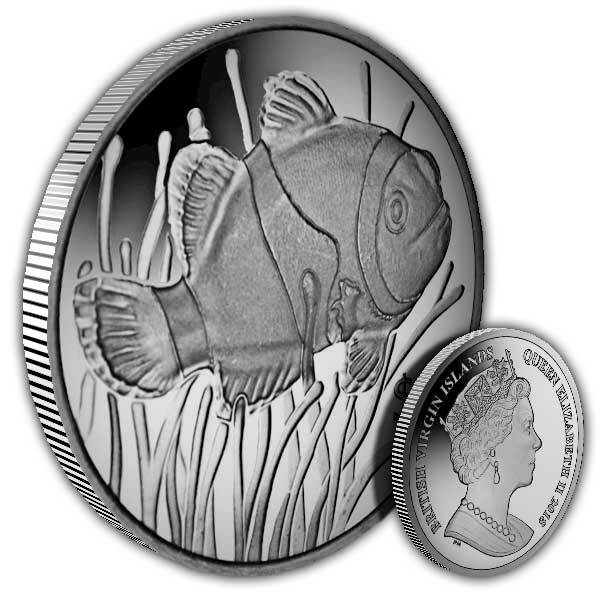 The design shows the Clownfish surrounded by its host Anemone.